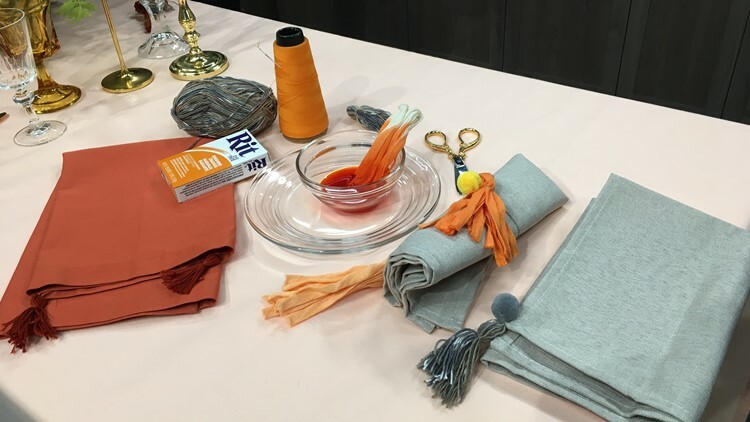 Brandy Brown from Marabou Design shows us how to design and arrange a holiday table using items from Seattle Goodwill. With all the things on your holiday schedule it's easy for parties, entertaining, and gift-giving to add up pretty quickly. We tapped Brandy Brown, creative director at Marabou Design for some creative ways to save money by treasure hunting . "Seattle Goodwill is so incredible, they have such a huge craft department," she says,"You can find pretty much anything that you're looking for." "The key is you don't want everything to be matchy-matchy. You want to add some different colors and textures." Bransy found a bag of different candlesticks of different colors and loved how they came together on the table. 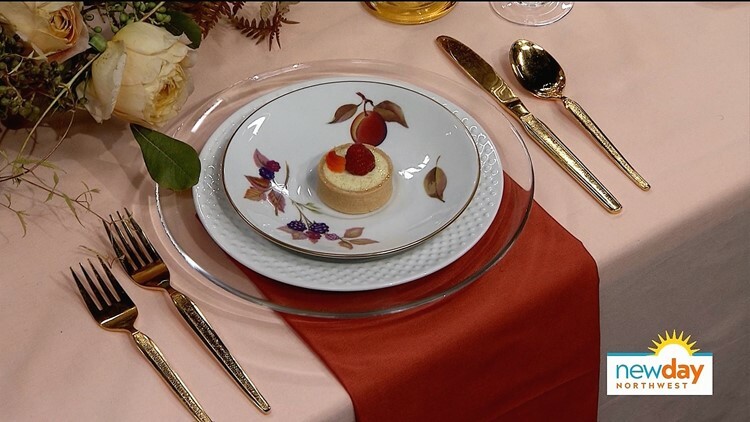 She even sourced the plates inexpensively, finding a stack of decorative plates for five dollars that provided the design inspiration for the tabletop. Brandy's big treasure hunting tip was telling us about the tag sales held every Monday on SeattleGoodwill.org. You can find all sorts of unique and decorative items that have been significantly marked down. These hand-crafted upcycled napkin rings will add a little zing to your holdiay table. One thing that can really dress up your table are handmade tassels to use as napkin rings or to hang from corners of napkins. Making them costs under $5 and uses simple items anyone can find. The craft adds a playful and festive flair to any holiday tabletop. "It makes a big impact," says Brandy. Brandy's go-to find all the items to dress up the table is Seattle Goodwill. "Goodwill is known for having a huge selection of so many home items. And so I thought, what a fun idea to take some of the napkins and give them a fresh revamp." This segment is brought to you by Seattle Goodwill. Watch KING 5's New Day Northwest 11:00 weekdays and streaming live on KING5.com. Connect with New Day via Facebook, Twitter, Instagram.